Friend #1 - Would you go see a musical comedy show? Friend #2 - Well if Friend #3 is going, I'm definitely in. Wow! If Joey, Chandler and Rachel are all going to the show, don't you think you should too? 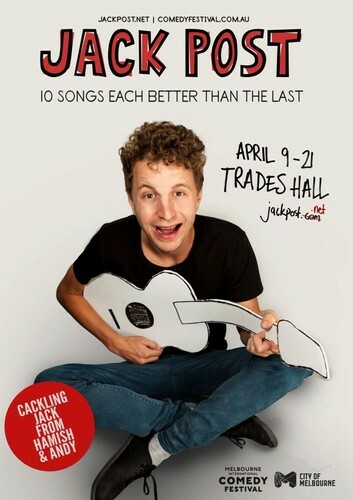 Jack Post presents his debut show at the Melbourne International Comedy Festival. Yeah there is a guitar, but you'll hardly notice it. Mostly it will just be you and Jack. This show will leave you laughing in the aisles. But due to fire safety regulations, you will be asked to move back to your seat.